Las Vegas, Nevada, January 2018 – Through the 1000 Books Foundation, the law firm of Luh & Associates (www.luhlaw.com) has chosen the St. Rose Dominican Health Foundation (www.supportstrose.org) as its Year of Giving recipient. Luh & Associates will be donating 360 copies of 1,000 Books Before Kindergarten: A Promise and A Pledge and 300 copies of 1,000 Books Before Kindergarten: My Journey to 1,000 Books. The gift is unconditional and the goal is to place a book and a keepsake journal in the hands of newborn babies born in the Las Vegas Valley. There is a solid connection between reading and early stimulation for brain development in younger children. The acquisition of crucial literacy and language skills is essential for their future academic success. Keeping this importance of early education in perspective, the 1000 Books Foundation was founded in 2013 to promote reading to newborns, infants, and toddlers and seeks to encourage parent-child bonding through reading. Public formal education does not typically start until ages 5-6. Before then, parents and caregivers are the first education providers during the 0-5 early critical years. The 1,000 Books Before Kindergarten challenge (www.1000BooksBeforeKindergarten.org) is a simple and very manageable endeavor—read a book, any book to your child, with the goal of reading 1,000 before kindergarten. “Literacy is truly empowering and one of the greatest gifts anyone can receive” said Natasha Meinecke of the St. Rose Dominican Health Foundation, while talking about the early childhood literacy and its importance. “We welcome this partnership that will benefit many children,” she added. “Both of my children were born in Las Vegas hospitals. My oldest niece was born in a St. Rose Dominican hospital. 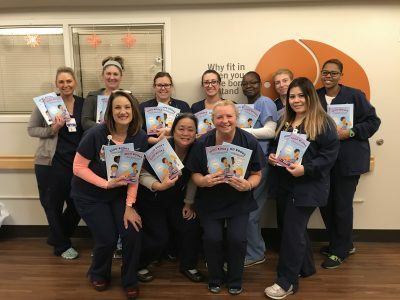 We remain committed to the Las Vegas community and are really excited to partner with the St. Rose Dominican Health Foundation to help bring the gift of reading to newborns,” said Charlie H. Luh, Managing Partner of Luh & Associates. 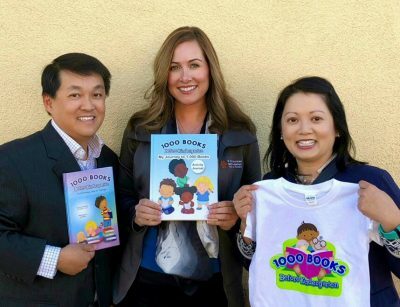 The 1000 Books Foundation invites other organizations to take part and to help bring the 1,000 Books Before Kindergarten early literacy challenge to their communities.